Take the Kawartha Dry Bag Cooler camping, tailgating, or to the beach and ensure your drinks stay cold all day. Snag this dry bag cooler for just $19, a savings of 60% with code GMG60 at checkout. Offer not available on bundles. Kawartha’s Dry Bag Cooler seamlessly transitions from a dry bag to a cooler by inserting a composite bubble core wrapped lining. The Triple Insulation Technology provides waterproof protection while preventing heat transfers, ensuring your drinks stay at an ideal temperature all day. 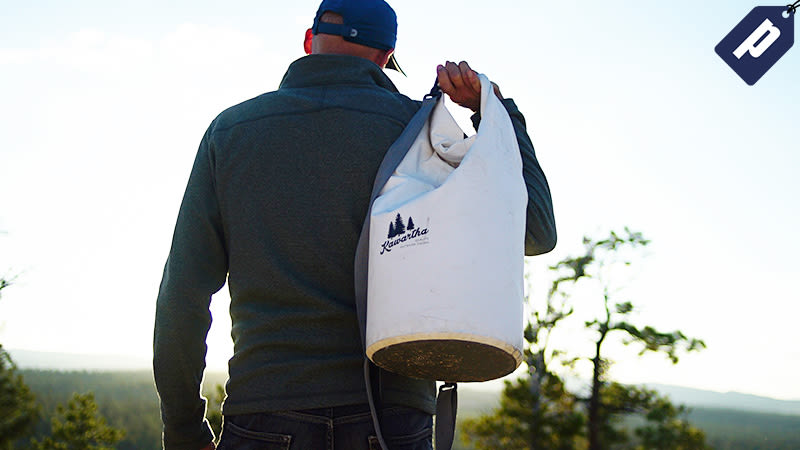 Fill up the cooler with a bag of ice and haul up to 25 liters (18 cans + ice) using the durable side handle, or throw it over your shoulder using the padded, adjustable strap. Plus, the roll-top allows you to continually shrink the bag as you empty it out for easy pack-up and storage. With 60% off, a dry bag cooler is just $19. So if you’re ready to enjoy a few cold ones on your next adventure, grab this dry bag cooler from Kawartha and save 60% with promo code GMG60.